in the midnight hour she cried more, more, more. 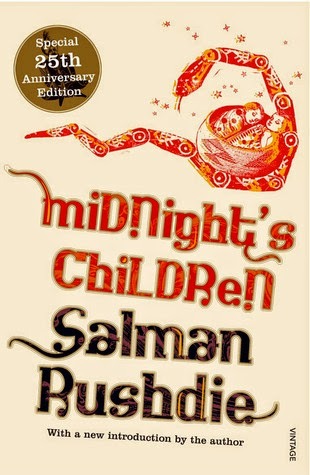 Saleem Sinai is born at the strike of midnight when India gained its independence, and then he is switched at birth. He discovers that he has a superpower, telepathy. He can communicate with the other children with superpowers whom are born in the midnight hour of India’s independence. Saleem’s life is influenced by the events that shape India’s history. The book is high up on the list of the most difficult books I have read. I spent nearly three months on the 650 pages, and many pages had to be read over and over so I could decipher some meaning from it. But it was definitely worth it! There’s a myriad of characters, a large dose of magic realism and you will learn a lot about the history of India. It’s one of those books which are impossible to explain what it is about and why it is so mesmerising. I guess you have to read it yourself to discover what’s so great about it. I’m actually proud of myself for finally completing a Rushdie. I tried years ago to read the Satanic Verses, but I was way too young. I still don’t think I’m ready for that one yet, but I also have more to choose from on my shelves (and a new one to be published this year). This was the November read(!) in Line’s 1001 books reading circle.